Welcome to our newsroom. Bookmark this page and check back regularly for the latest press releases from the PHHA, updates and links. For the latest developing news regarding pending legislation, we urge you to visit our Political Action Fund (PAC) page regularly. 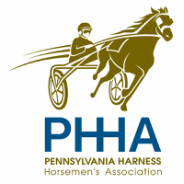 MILESTONES, MEMORABLE MOMENTS ON TAP FOR 2015 SEASON OF "PA HARNESSWEEK"
UNIONVILLE TIMES EDITOR: "WITHOUT THE RHDF, THOUSANDS OF JOBS WOULD HAVE BEEN LOST — AND A SCARY AMOUNT OF MONEY WOULD BE MISSING FROM AN ALREADY BROKE TREASURY"